The reason for the late deliveries of the Boeing 737 MAX. Airline “International airlines of Ukraine” has changed the schedule of its flights in the summer season due to the delayed delivery of Boeing 737 MAX. This was reported by the press service of the UIA. “The main reason for the changes was to delay delivery of Boeing 737 MAX, which was supposed to start work at the regular UIA flights from mid-April this year. However, due to the fact that the operation of this type of PS is suspended until the investigation is completed, the delivery of three Boeing 737 MAX UIA postponed. 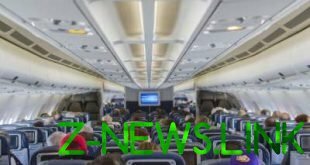 Due to the lack of planned for this period of aircraft the airline is making a first adjustment of the schedule of their flights,” – said in the message. In particular, according to the airline, the changes will affect such areas as Athens, Istanbul and Yerevan, to which the MAU will reduce the number of flights. Flights between Kiev and Vinnytsia will be cancelled. In April, may and June also provide for the cancellation of some flights from Kiev to Zaporozhye, Kherson, Ivano-Frankivsk, Baku, Minsk, Riga, Geneva, Amman and Ankara. Passengers affected by schedule changes, receive reports and proposals with alternative departure dates or route, said the airline. “Due to unforeseen circumstances which led to failures in the supply of aircraft, we were forced to make changes in the already compiled summer flight schedule. In order to enable passengers to reach destinations, MAU redistributes the existing fleet and strives to meet commitments to its customers. All schedule changes are reflected in the reservation system. Flights that are not cancelled are guaranteed to be executed by the airline. In case of additional changes, we will promptly inform the market about these changes,” said communications Director of the UIA Eugene Satskaya. Airline “International airlines of Ukraine” was founded in 1992. 100% of shares are in private ownership. The airline connects Ukraine with over 50 cities and key locations in Europe, Asia, America, Africa, Middle East and CIS countries and provides connections with routes of partner airlines in more than 3 thousand cities in the world. UIA operates over 1100 scheduled flights a week. The airline’s fleet consists of 41 aircraft of various modifications, including 28 medium-haul Boeing 737 NG with an average age of 9.7 years. The average age of the fleet is 11.6 years. The base airport is the international airport “Borispol” (KBP).